In the wake of lifting of lifetime Olympic bans on 28 Russian athletes, Sputnik has spoken to Emmanuel Kilchenmann, a lawyer representing the Russian canoeists named in the McLaren report, which, shortly after it was published in December 2016 influenced the World Anti-Doping Agency’s ban. Russian Sports Minister spoke about a shifted focus in today's sports world. At least three anti-doping experts of the International Swimming Federation (FINA) have resigned in protest against a decision to allow Russian swimmers to compete at 2016 Rio Olympics, Irish media reported. 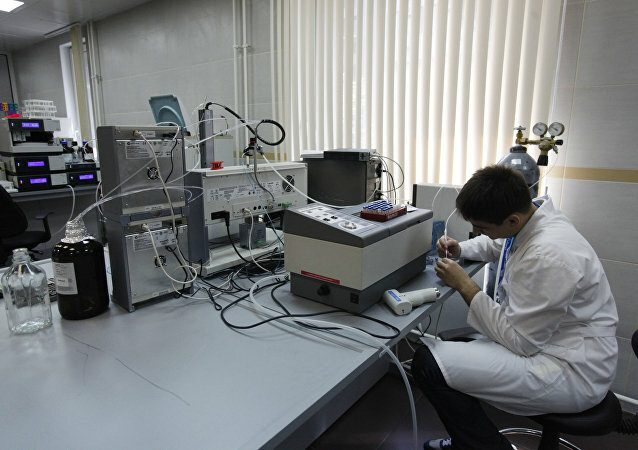 The World Anti-Doping Agency (WADA) spent close to $70 million on research in the past 15 years, the agency said in an annual report. The heads of 17 anti-doping agencies have proposed a number of reforms to overhaul the World Anti-Doping Agency (WADA) in the wake of the Russian doping scandal, media reports said Tuesday. 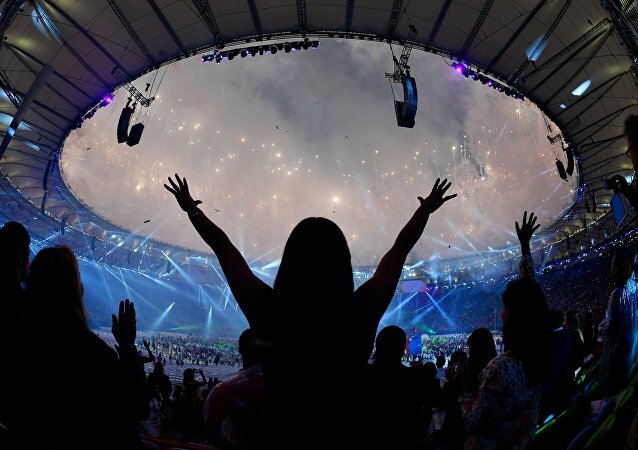 The Olympics have come to an end after two weeks of events and celebrations, which will be long remembered. Sputnik has compiled a list of athletes who have excelled in Rio and won the hearts of Brazilians, as well as of those who won’t be missed by anyone. The Rio Olympics may have just finished, but the fun we keep having with these memes is ongoing. All of them deserve gold... If memes were an Olympic sport that is. Japan's Prime Minister Shinzo Abe did not set any world records at the Rio Olympics, but he nonetheless became a sensation after his surprise appearance during the Closing Ceremony of the Rio Olympics, disguised as a fictional hero of the computer game Super Mario. 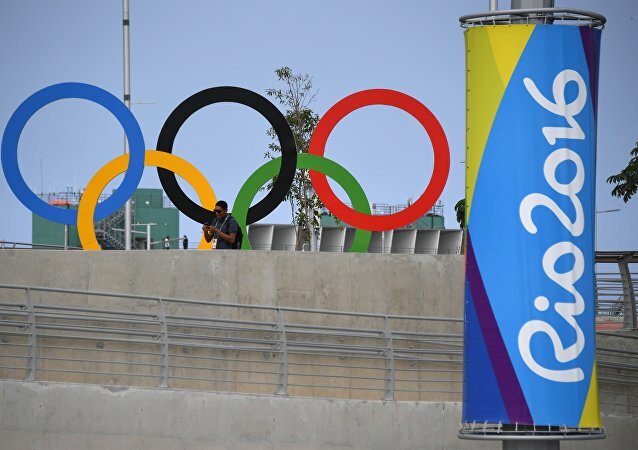 The International Olympic Committee’s President Thomas Bach declared the 2016 Olympics over at a ceremony in Brazil’s Rio on Sunday. 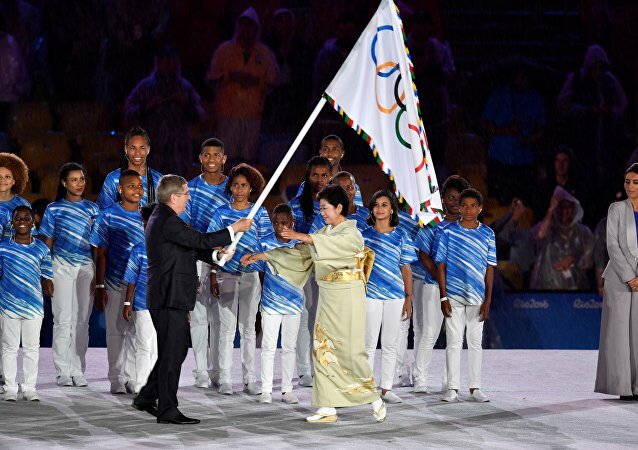 The International Olympic Committee handed over the Olympic flag to the governor of Tokyo, which will host the next edition of the Games in four years. 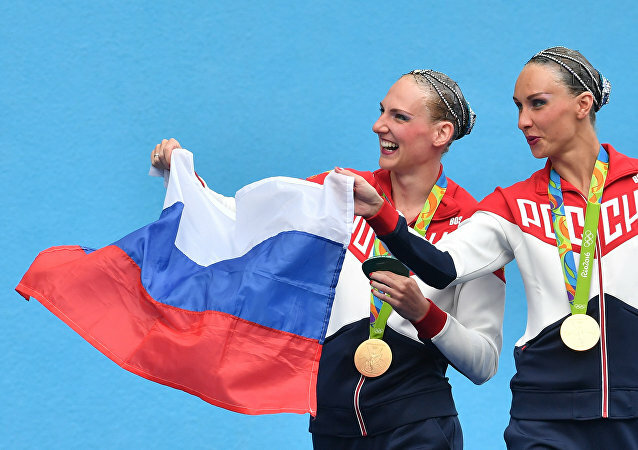 Russian synchronized swimmers Natalia Ishchenko and Svetlana Romashina carried the Russian flag into the Maracana arena for 2016 Rio Olympics closing ceremony late Sunday. Russian Prime Minister Dmitry Medvedev praised the national team on Sunday for doing very well at the Rio Olympics despite hard times for Russian sport. Russian athletes Margarita Mamun and Yana Kudryavtseva on Saturday win women's individual all-around gold and silver at Rio 2016 rhythmic gymnastics contest. Russia’s women’s handball team on Saturday beat the French national team in the final game of 2016 Rio Olympics and won the first gold Olympic medal in its history. Russia’s Gulnaz Gubaydullina set an Olympic record in women’s pentathlon swimming because of her sprained neck, the athlete told journalists. 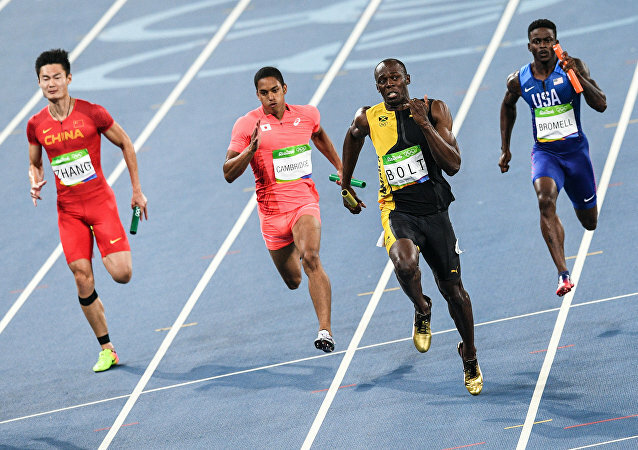 Jamaica’s sprinter Usain Bolt has become a 9-time Olympic champion, winning gold in men’s 4x100m relay at the Rio Games.